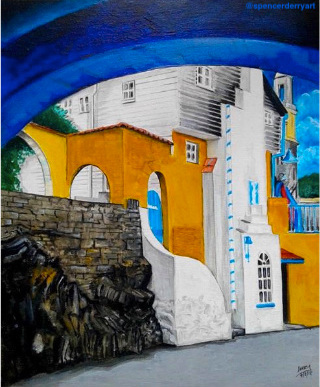 Buy A Fine Art Painting of a Portmeirion House on ArtGallery.co.uk. a coastal resort in North Wales, UK. Artwork Created by Spencer J. Derry in 2018.